Hemantkumar Shah says his resignation was not a heroic act, but the only right thing to do. The annual day festival of HK Arts College was to be held this Monday. Jignesh Mevani was invited as the chief guest just a few days ago. This college is his alma-mater and yet, some youth leaders affiliated to the BJP started threatening me, the vice-principal (Mohanbhai Parmar) and the board of trustees. Both the vice-principal and I tendered our resignations on Monday. 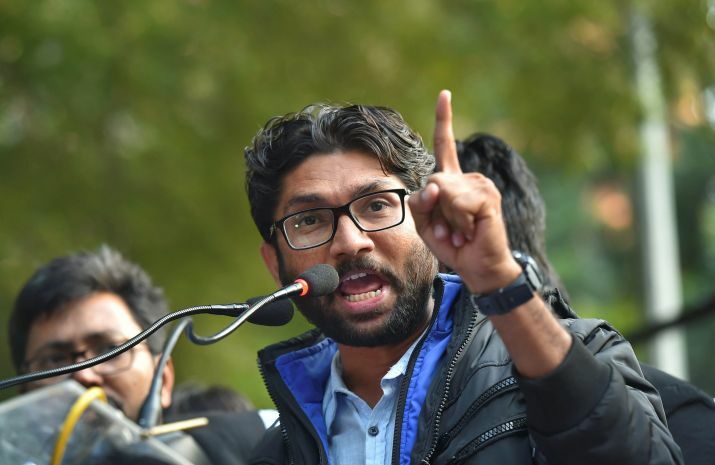 The trust surrendered to the demands of the BJP-affiliated student leaders of the Gujarat University, who threatened that if Jignesh Mevani attends, the event would not be allowed. They said they would create a ruckus, even if there is police protection. Our trust chose not to allow the event in our hall premises, which has a capacity of 750 people. We were left with no option but to cancel. This cannot be taken lying down. My resignation was not an attempt to be heroic or to make a statement. It is simply the only thing I felt anyone in this position must do. The trust’s decision is an attack on freedom of speech and expression in a state where the capabilities of academic persons have long been suppressed by the government, by universities and even by students. Today, on WhatsApp and Facebook, I’m receiving several messages of support saying, “You did a great job by taking a stand!”. But to me, this is not a great job. It is what everyone in this position should do. It is not just for one individual, Jignesh Mevani’s freedom, but the larger freedom of ideas, including my freedom, being curtailed. Tomorrow, I am going to Surat to give a speech on Gandhian thought, but I can only hope this incident creates an atmosphere in Gujarat that enhances the academic capacities. Just a few months ago, Karnavati University in Ahmedabad invited Amit Shah, Sam Pitroda, Subramanian Swamy and several political figures for a youth parliament event. I don’t mind if Amit Shah is invited to our college. But if Amit Shah is not prevented from speaking in the university, why did people not want a platform for someone who is an elected MLA from Vadgam? In the past, Prime Minister Narendra Modi was the chief guest of a conference held under the aegis of HK Arts College and Association of Indian College Principals. We have invited several ministers from the state – even Maya Kodnani – to attend events in the past. So why was this a problem? I feel that this kind of suppression of thought, especially in an arts college, is a very serious matter. We have seen how in the past, some speakers were disinvited, or worse, students resorted to violence. (In Ramjas, they attacked a professor and in Gujarat, even a scholar of Ram Guha’s repute got disinvited. He was supposed to join the Ahmedabad University starting this February, but merely a few voices raised by the ABVP managed to ensure his appointment is rescinded. Just weeks ago, someone like Nayantara Sahgal was disinvited from literary meets.) In this atmosphere, there is no space for humanities and for healthy dialogue. It is a murder of democracy, and to resign was not just the right thing, but the only thing one could do as the principal. Hemantkumar Shah was the principal of HK Arts College.